I stood at a bus stop in Amsterdam when it hit me. Car after car that passed me, was driven by someone with grey hair. Even buses and business cars were driven by people of over sixty. I realized how much the Dutch are active up to a high age. Look in Sulaymaniya or Erbil, or wherever in Kurdistan. Most people you see on the streets are young, or at least under fifty or so. The elderly you may see, look old and are often not too mobile, walking slowly or with a cane. Of course, the difference lays firstly in the birth rate. Low in Holland, diminishing slowly but still high in Kurdistan. Half of the population is under twenty, and only four percent is over 63. That is what you see in the streets. The average age in Holland is 39, and Dutch people live till they are 80. About sixteen percent of all Dutch are over 65, and of them a quarter is over eighty. But if you would mirror this situation to Kurdistan, I wonder if you would still see so many grey heads about. Not only because more people seem to dye their hair here, but because in the Kurdish society the elderly are not active. They tend to stay at home, often being looked after by their children. If they have a job, that is because they have no children who care for them, or no other income. Though Holland has good pensions, the elderly pride themselves in staying active. They will work up till 65 and over, and they will use their spare time to walk, cycle, skate, swim and visit the sports school. They are often fiercely independent, live on themselves as long as possible, and mostly don’t want to depend on their children. The fact that they are active, also gives them a better chance to grow old and remain active. They keep their body healthy and fit, so it will serve them longer. And they get to be 80 and more. That is one of the main reasons why in Kurdistan elderly are so little visible. The whole culture of looking after your body because it has to serve you for a lifetime is not here. People eat the same food as they ate when they were poor, but now it causes them to become fat. The sense of healthy food, and the effect food has on your health is only just arriving in Kurdistan. People over fifty-five are considered by the rest of the society as ‘old’, and they are no longer taking part. They deserve to be looked after, so it is thought. But is this what is best for them, and is it what they want? If you know you can get old if you remain active, would many people not choose for that? Kurdistan must be one of the last countries in the world that does not sell unleaded petrol. Before, I used to drive all across Europe for my holidays, but now that I live in Kurdistan that is a problem. If I would take my Kurdish car out, it would not go far. Because almost all petrol for sale out there is unleaded. Unleaded petrol is not for sale in Kurdistan, because environment is just not an issue. Kurdistan is too busy developing. Yet environment is not only about cleaner air and better health. It is also about money. 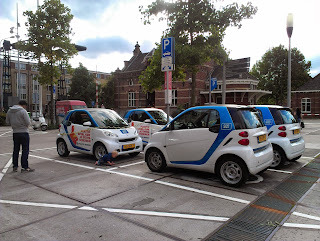 For example the four cars that are waiting for their customers in Amsterdam, hooked to the electricity pole in the square. Car2Go has small cars that run on a battery and can be used by those who participate in the project. Not only are these cars clean as they run on a battery, they are there also for those who cannot afford a car. Electric cars are conquering the European market. Just about every street in Amsterdam has a special electricity pole, and already people are complaining that there are not enough. Because the batteries of the cars only last about 65 kilometres. I spoke to someone who had just bought a car that runs both on electricity and petrol, so when the battery is empty, you change to petrol. In a month of use, she still had not filled her tank once. So she had been driving mainly on the cheap electricity instead of on the expensive petrol. Of course, petrol no longer is expensive in Kurdistan, and for the long distances an electric car is not practical. But as a lot of people only drive inside the towns, it still could be interesting. Kurdistan also has people with a small budget. A project like this would make the use of a car possible for them. 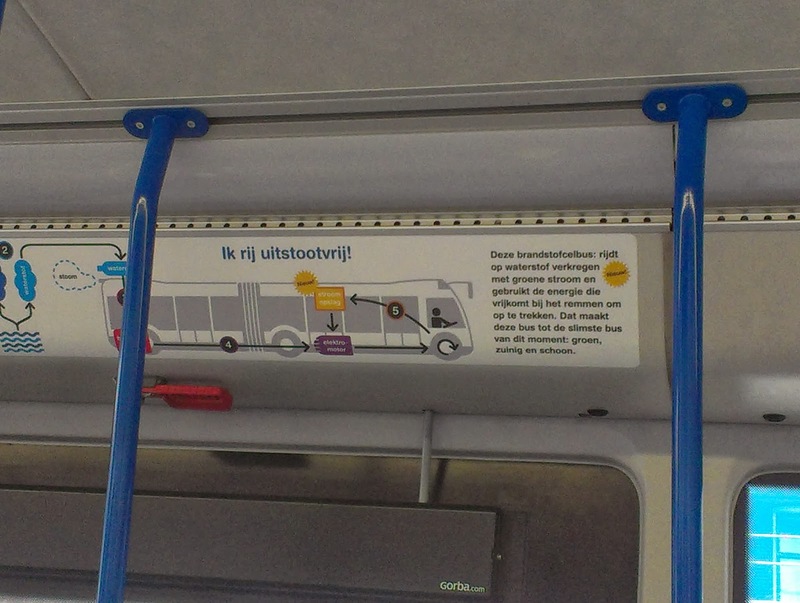 Even better was the bus I took in Amsterdam. It runs on hydrogen, so it produces no fumes. The energy that is produced when braking, is used for the bus to pull up faster. I tried to imagine this bus in Kurdistan. Not only is nobody here interested in the environmental advantages, it will also be hard to find people for the maintenance of such a strange engine. 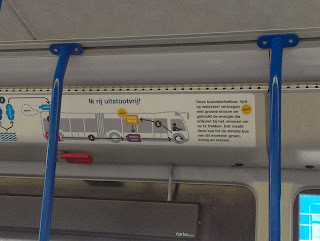 And even more important: public transport still is in its infancy. Yet at the same time, Kurdistan cannot close its eyes for these developments. It has to open up to the developments on the international energy markets. Green electricity, solar energy and clean power have been developed for a reason. Just look at the smog we have in Kurdistan. Air pollution crosses borders. The world has decided the environment is an issue, as it is linked to global warming. Kurdistan cannot ignore it any longer. Do they really love their children as much as they say? It is a horrible question, but I often catch myself wondering. When I see a woman holding her child crossing a busy street where cars tend to drive too fast. When I see children on their parent’s lap in the front seat, even behind the wheel. When I see children hanging out of car windows, or standing up in the back of a pick-up. All of these situations, when they go wrong, could be deadly. A speeding car can swoop up the woman and her child. In case of an emergency stop the child on the lap will go through the front window. It should be safely in a children’s seat in the back. A car that gets too near, or a lamppost when the driver is forced to swerve, can hit a child that is hanging out of the window. And even worse, when the driver makes an emergency stop, the child will be thrown from the window – same for the kids in the back of the pickup. Why do parents not worry, and even scold me when I point this out? In the rest of the world we have far more safety rules than here in Kurdistan. And for a reason. Because experience learns we have more chance to survive that way. ‘Ah, but’s it’s only a small ride’, people will say. But accidents happen always when you do not expect them. Why take the risk? Like the motorists who do not wear a helmet. The law is clear, and the statistics too: motorists have a slim chance to survive an accident, and even slimmer when not wearing a helmet and protective clothing. Yet in Kurdistan nobody wears one. The Kurds have been in danger for generations, survived war, famine, poverty, aggression. I expect them to be extra careful as they must have realised how valuable their lives are. But the opposite is true. The Kurdish society has become a dangerous one. The number of cars has risen, roads are crowded and badly kept, and drivers have not been taught properly about rules and possible results of their behaviour. Many people drive too fast, and lorry drivers behave as if they don’t drive heavy and deadly machines.